As we wish 2018 a fond farewell, now's the perfect time to look ahead and explore some of the biggest trends that risk management professionals should keep in mind for 2019. The past couple of years have seen the tectonic plates of politics shifting, shaking up the global business landscape. From Donald Trump's 'America First' philosophy to Britain's choice to leave the EU, political uncertainty and the rise in protectionism will likely define the year ahead. The waves of political change are impossible to predict, but being aware that political instability can have an impact on your project is important for any risk professionals. How will tensions on global supply chains affect costs? How will labor and skills shortages affect schedules and project duration? As with all types of risk, the impact of those posed by political uncertainty can be assessed and minimised with careful preparation. Cloud services are enabling project managers to access powerful project planning applications, securely and from any device. Web-based reporting provides project managers with greater project visibility no matter where they're located. Powerful virtual machines can run simulations and generate reports quicker and more accurately than ever. New technologies often hold the key to more effective project preparation, and risk management teams should always be seeking new ways to make more accurate, informed decisions and achieve greater project success. Project delays disappoint shareholders, aggravate contractors, and can cause serious reputational damage for your organization. Going into the new year, companies must utilize risk management software effectively to reduce the chance of project delays and overruns, safe-guarding their reputation. There is also increasing pressure on companies to act in a responsible and transparent manner when it comes to environmental and social issues. This is compounded by an upsurge in socially and environmentally conscious consumers, who can raise their concerns to a global audience on social media. Social media can be used to your advantage, however. Businesses should harness these platforms to promote the steps they're taking to be more environmentally responsible, build brand trust, and to monitor public reaction to company decisions. Organizations simply can't afford to be ill-prepared for reputational risks. If it seems like natural disasters are happening more frequently, it's because they are. The Centre for Research on the Epidemiology of Disasters surmised that the amount of flood and storm catastrophes alone has risen by 7.4% annually in recent years. While natural disasters are beyond our control, as we're all too aware, many are intensified and made more damaging by human interference. Risk management teams must carefully assess the chance of environmental hazards – like extreme weather conditions – as far in advance as possible and take measures to negate the impact of these hazards on your project. 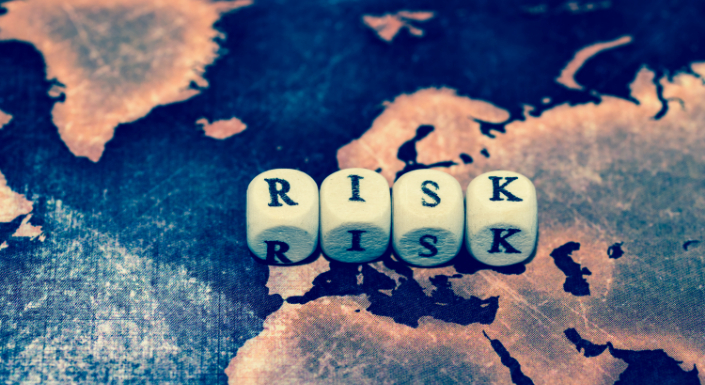 Good risk analysis will also let you make more precise forecasts, reducing the likelihood of over-provisioning resources and thus reducing waste and over-payment, as just one example. Being prepared to handle potential environmental risks should be at the forefront of any project manager's mind going into 2019. And, of course, organizations should continue to make every effort to reduce any negative impact they may have on the environment. While many of these trends seem like negatives, organizations should view them as opportunities. Political uncertainty can lead to more effective policy decisions. New technologies may disrupt old processes, but they offer new means of achieving success. Enhanced connectivity can put brands at risk, but they also offer new channels for public engagement. If you want a simple way of evaluating your organization's ability to handle project and enterprise risk, why not try out David Hulett's free risk maturity assessment?